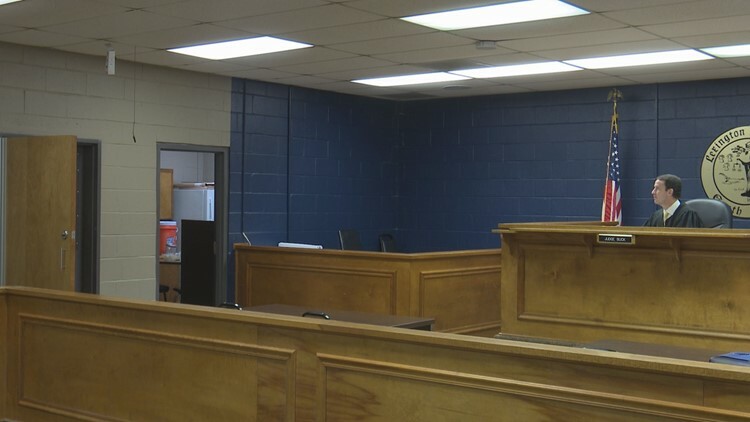 The judge then notified her that a circuit court judge will consider whether bond should be allowed or not for her case. Her next scheduled court appearance, is October 11. Lexington County, SC (WLTX) -- A Lexington woman appeared in court this morning after being arrested for the death of her newborn child. During a hearing Tuesday, the judge had 21-year-old Brennan Geller sit in an area where she could not be seen. Geller is accused of failing to provide medical care for a baby she delivered in her car Friday night. According to the arrest warrant, Geller gave birth in her car on August 3 in the West Side Plaza Shopping Center in West Columbia. Investigators said Geller placed her new born in a trash bag and drove back to her home where her mother lives. She reportedly did not tell her mother about her baby, then was transported to Lexington Medical Center for blood loss. The warrant goes on to say Geller did not notify any of the medical staff about her newborn, who was still in the floorboard of her vehicle. The baby was found dead in the vehicle several hours later. News 19 tried to speak to some of Geller's family members and they did not want to talk. One person we spoke to said he knew the 21-year-old for a few years, and when he heard about this he couldn't believe it was Geller. The Lexington Coroner released preliminary autopsy results in the case, naming it a homicide. The cause of death is pending additional studies and testing.